Lately I’ve been really interested in anti-inflammatory foods. With Posey’s intestinal inflammation (which we really do not know is IBD, but she seems to respond really well to Sulfasalazine, a drug typically used for IBD) and for my own health, I did a little research. It really leans toward a largely plant-based diet, which I’ve been transitioning to over the past couple of years. Posey has always leaned vegetarian, too. (Millie and her daddy still like their meat, though!) So that’s another nice thing about Dr. Weil’s chart — there is room for a couple of chicken or meat servings a week. And even more room for fish. I think it is something our family can subscribe to. What about you? This entry was posted in Uncategorized and tagged Anti-Inflammatory Food Pyramid, children, colitis, Crohn's, Dr. Andrew Weil, IBD, inflammation, instestinal inflammation, nutrition, sulfasalazine on January 30, 2013 by poseyplays. Love this blog and I’m following it right now!!!! A big kiss and see you soon!!! So glad you came by!! Sign up for email notifications if you’d like and check back often! 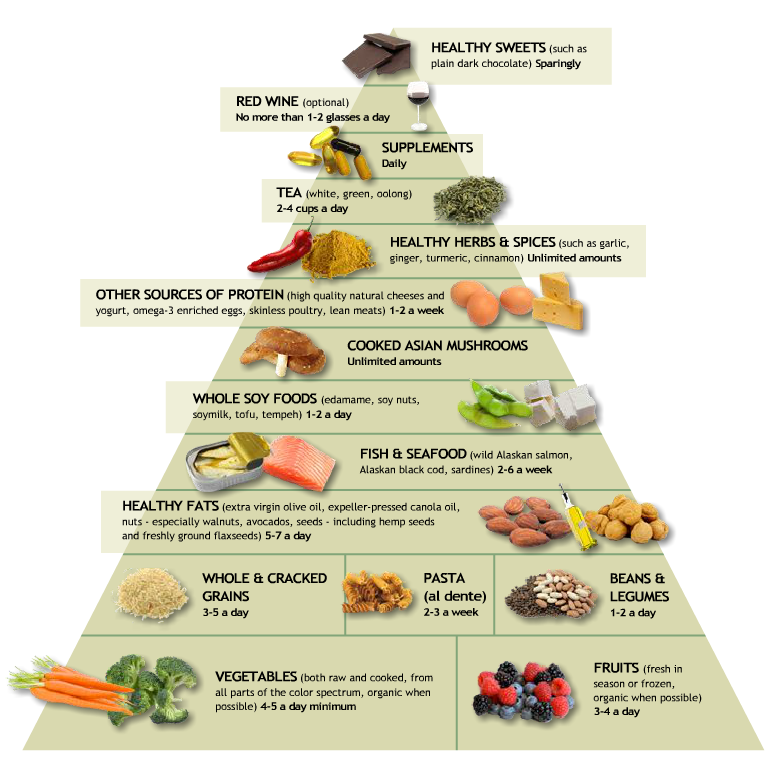 That’s a great resource, thanks for putting up the food pyramid….. I hope things are going well for Posey? My niece was diagnosed with IBD and after a lot of investigating, (removing various foods from her diet) she was found to have an allergic reaction to milk, once that had been removed from her diet her IBD symptoms disappeared within a few months. Wow, that is so interesting! I wonder if she was ever tested for a traditional (IgE-mediated) allergy to milk? Or if it was more of an intolerance? We are doing more allergy testing later this month so maybe we’ll discover something else? Thanks for coming by the blog!